It is a modern restaurant, essential but cozy. 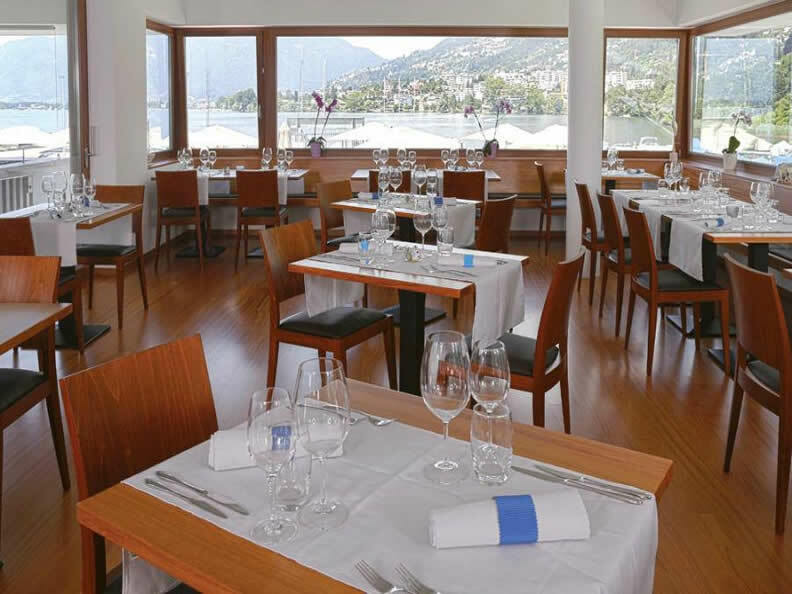 The large dining room offers a beautiful view on Lake Verbano, as well as the covered terrace which protects from the wind and the garden, ideal for cocktails and just a few steps away from the lake. 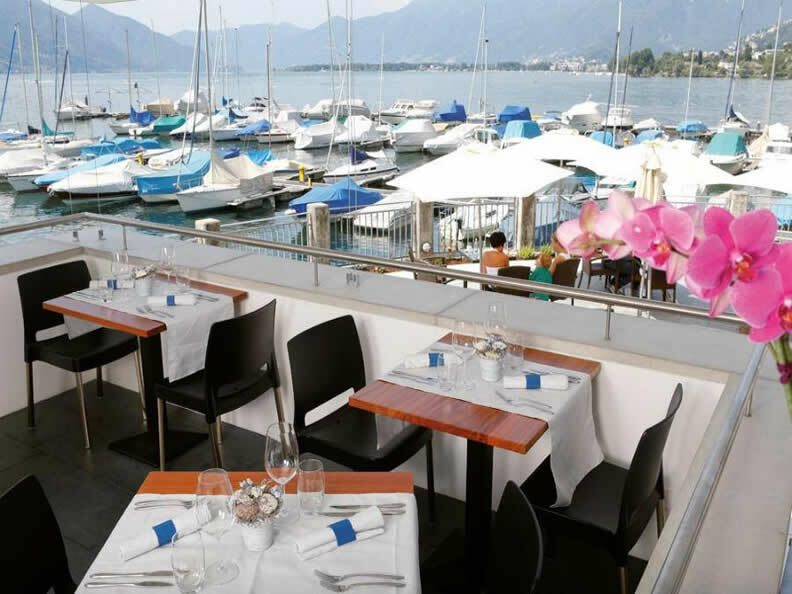 The restaurant, located in the port of Minusio, specializes in fresh and tasty fishes from the sea and the lake. 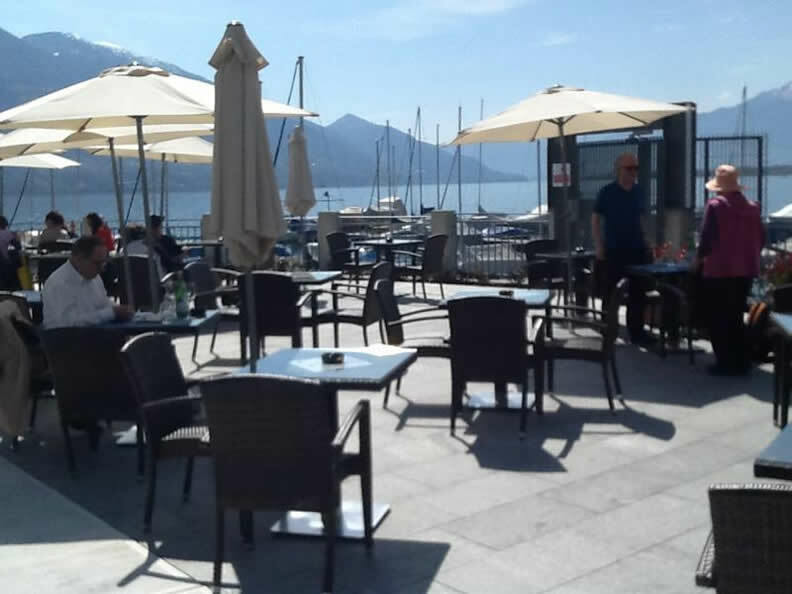 L’Approdo is managed with courtesy and kindness by Monica Poroli and Luciano Badini, who delight their guests since 28 years at the restaurant-pizzeria Camping Delta. In addition to the fish, you can taste excellent homemade pasta served in a crispy bread wafer as well as meat dishes.